The Rexing V1 is a wedge shaped Chinese camera similar to the popular A118. Like the A118, the V1 is based on the Novatek NT96650 processor and the Aptina AR0330 CMOS sensor. Video quality appears to be similar as well with very good quality during the day and average quality at night. The Rexing V1 records 1080p at 30f/s with an average bit rate of approximately 13Mbps. 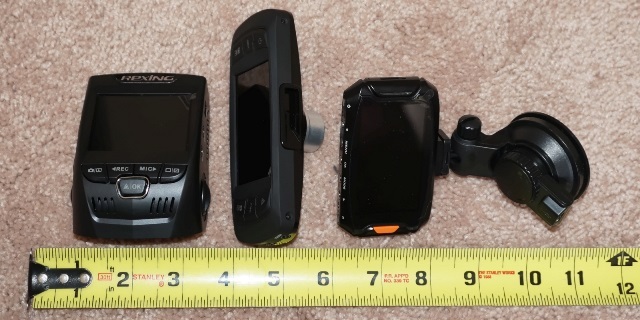 The camera comes with a large 2.4″ screen and optional GPS is available. Build quality is average with many owners indicating the camera appears to be light and not solidly made. This is also evident in the mounting mechanism which allows for easy mounting and unmounting but is somewhat loose. The Rexing V1 is also larger than the A118 at 89mm x 63.5mm x 38mm. 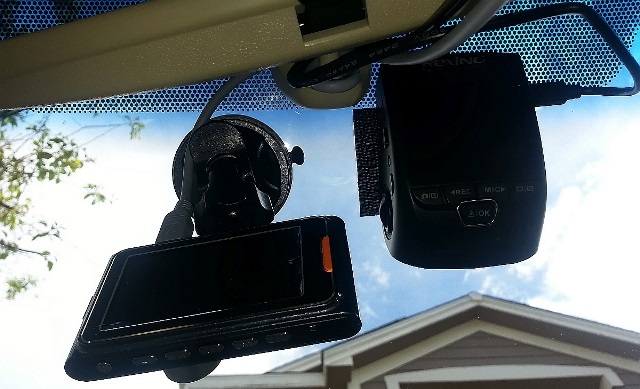 Even with the larger size, the camera is still quite discreet since it mounts right to the windshield instead of using a large mount. When installing the camera make sure you leave approximately 1″ of space above the camera to allow for easy removal and installation. We would like to thank our member Sunny who provided a detailed review of the Rexing V1 on our forum. Sunny has provided some comparison photos of the Rexing V1 (bottom left) Rexing F9 (top) and G90 (right). 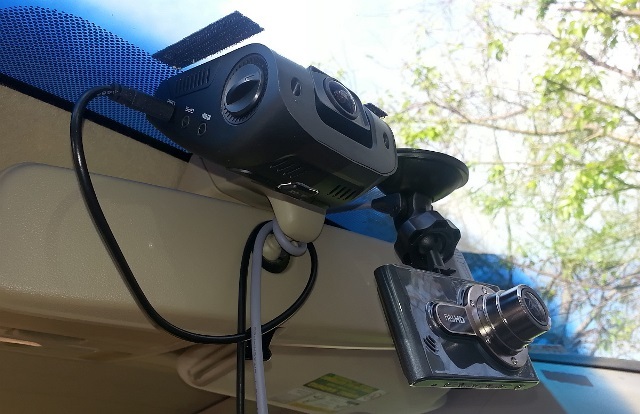 Numerous owners have complained that the camera randomly stops recording. This results in video clips of various lengths and associated missing footage. To correct this problem, make sure motion detection is set to off. If the problem persists, try another Micro SD card. If that does not solve the problem, the camera likely has defective hardware. 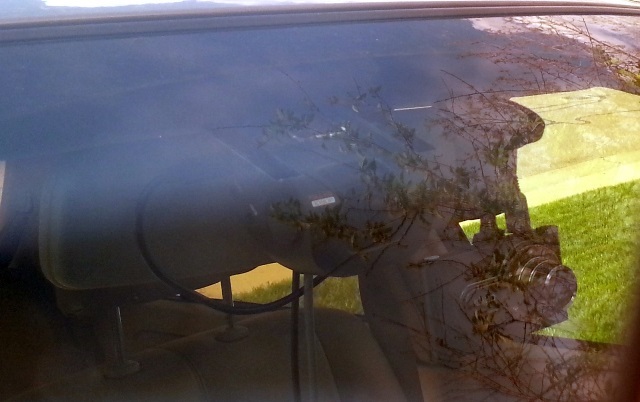 Thanks to Sunny for providing photos of the Rexing V1 mounted in a car. He has also provided a mounting and unmounting video. 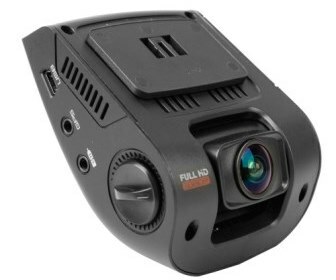 The Rexing V1 is quite similar to the popular A118 dash cam and based on the same processor and CMOS sensor. However the V1 has a higher price tag, larger size and average build quality. 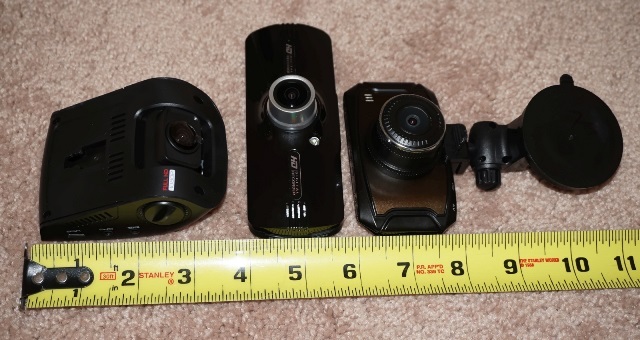 Unless you are looking for a camera with a larger screen size (2.7″ instead of 1.5″), the A118 is a better value. If you like the wedge shaped design but are looking for better video quality, particularly at night consider the Street Guardian SG9665GC which is based on the Sony Exmor IMX322 CMOS sensor. 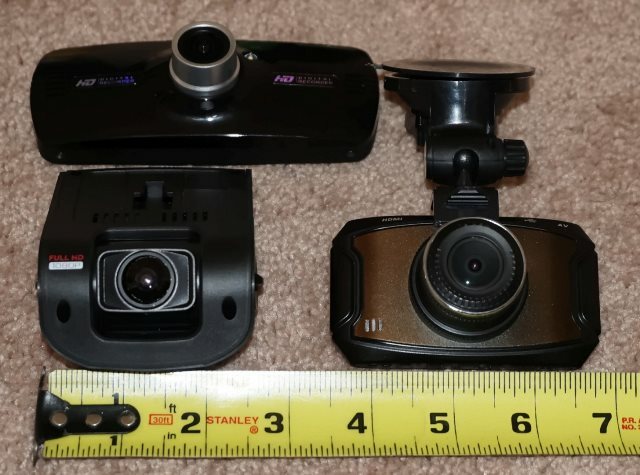 Overall while not a bad camera, other dash cams offer more bang for your buck in the $100 or less price range. This camera sells for approximately $100. The latest firmware can be downloaded from the Rexing site here. Final Word Nice form factor but you can save a few dollars and get the similar A118 instead.